The excel V laser system uses a high-power laser with targeted pulses to repair skin conditions, including sun spots, rosacea, spider veins, acne scars, and other vascular conditions. Most treated skin will return to its original color and tone. Many individuals are affected with vascular skin condition or pigmentation that are either cosmetic or chronic. These conditions can have a serious effect on the individual’s quality of life or well being. The award-winning excel V™ is the only solid state laser system incorporating two super-precise laser wavelengths (532/1064 nm) in one easy-to-use device. 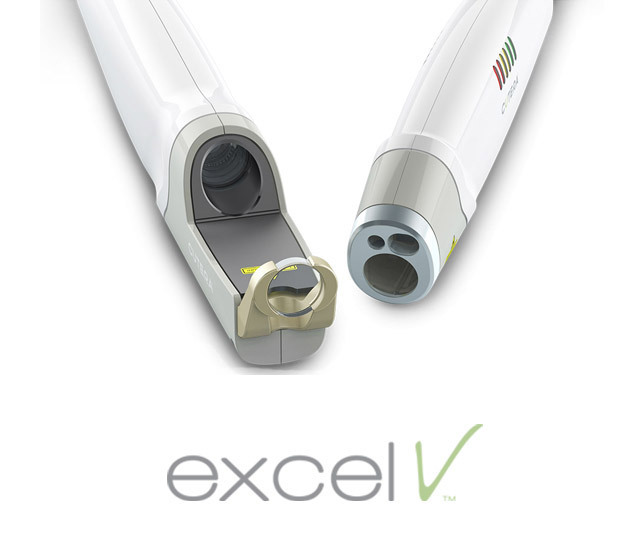 The excel V delivers precision treatment parameters with a versatility that is unmatched, to give you the flexibility to efficiently treat all cases, from deep and superficial vascular conditions to benign epidermal pigmented lesions and CUTERA’s signature laser genesis™ procedure for skin revitalization.